EXTRA ROLLS: Never run out - store up to 3 spare toilet rolls within easy reach in the bathroom. 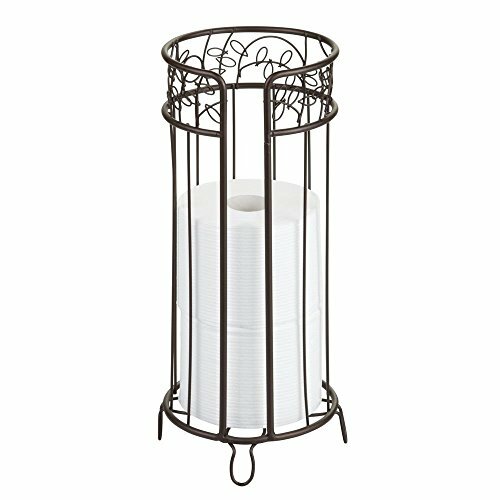 TALL & SLIMLINE: Freestanding roll holder measures 6.8" diameter x 15.2" - ideal for compact spaces. EASY TO REFILL: Extra toilet rolls slip in and out of the holder easily - fits standard sized rolls. THE INTERDESIGN PROMISE: You'll reap the rewards of our 40+ years' experience marrying form with function in home goods that shine.